All 18 Vanity Planet coupons have been verified and tested today! Your order isn’t working out? No worries, Vanity Planet gives you 45 days to choose whether or not you want to keep your product. Just be sure to make sure the merchandise is still in “like new” condition or is gently used. If it’s been over 45 days you can still return your purchase for store credit as long as you return within one year. Please note that returns can take up to two weeks to be processed. You will receive an email confirmation when your return has gone through. All you have to do to get started on your return is fill out a return form over on Vanity Planet and you will receive a prepaid USPS shipping label to send back. Have some concerns and questions about Vanity Planet? Make sure to check out the frequently asked questions page. Get all the facts on shipping, tracking an order/order issues, returns, the Vanity Planet warranty policy, rewards, and discounts. The frequently asked questions page is a great resource to resolve issues, but if you still haven’t found a solution, you can get in touch with a Vanity Planet customer associate. Customer service is available by email and phone every day from 9 a.m.-5 p.m. To view the frequently asked questions page, visit Vanity Planet and scroll down the bottom where it reads “FAQ.” To get in touch with a customer service agent, scroll down to the bottom of the page where it reads “Contact” below Support. Get in on free shipping when your order reaches $100 or more. Might as well stock up on some awesome products and save on shipping and treat yourself to high-quality beauty products, skin care, hair care and more. Once your purchase hits $100, your free shipping will be automatically applied. 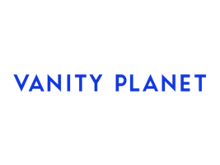 Be sure to follow Vanity Planet on Instagram @vanityplanetstore for beauty tips and tricks, product updates, giveaways, an occasional Vanity Planet promo code, reward opportunities, and so much more. Make sure to also follow the hashtag #vpbeauty and share your own photos showing how well the products are working for you. That’s right—when you sign up for emails, you receive a 10% off Vanity Planet coupon towards your first order. Plus, you’ll get in on the latest news, deals, product updates, and so much more. Signing up for emails is one of the easiest and best ways to save money and get in on special offers. So you don’t have a Vanity Planet coupon code? It’s all good. You can still shop sale and save tons. Shopping sale is one of the simplest ways to make sure you are getting a good deal. Vanity Planet has clearance products ranging from hair care to sleeping masks. Plus, be sure to check the website often for seasonal sales and promotions. Are you ready to start saving money and earning rewards? When you join the My Vanity Planet (mVP) rewards program, you’ll save 10% every time you shop the website. Plus, you’ll get in on special offers, an occasional Vanity Planet coupon, and you’ll earn 100 points just for joining the party. It’s super easy to earn reward points and soon those points will add up and save you money on Vanity Planet skincare and beauty products. So what are you waiting for? To get started, visit Vanity Planet and select “Account” from the main menu in the right hand corner. So you’ve found yourself some amazing skincare products and you have a Vanity Planet discount code? Congrats! That’s all there is to it! Now all you have to do is wait for your order to arrive. If you’re shopping for someone special, but not quite sure what the very best skincare option would be for them, consider giving a gift card. They never go out of style and they allow your loved one to make sure they get the best, personalized care. Vanity Planet offers gift cards in increments of $10, $25, $50, and $100 to fit anyone’s budget. Gift cards will be sent by email and will provide activation information. The best part? Vanity Planet gift cards do not require any additional processing fees. You can even make four interest-free payments if you need more time to pay the desired amount. To purchase a Vanity Planet gift card, visit the website and scroll down to the bottom of the page where it reads “Gift Card” below the Shop tab.